When recessions rear their ugly heads and economies struggle, people tend to run for the perceived “safety” of gold or silver. While precious metals are indeed miles ahead of investments like stocks, bonds, and mutual funds, there is another option that will not only protect your assets during inflationary times but actually increase your wealth at the same time. 1. The key to creating wealth is the ability to use leverage (financing) with an asset to create even more of the asset. Sorry, gold and silver doesn’t offer this. Income property thrives under the proper use of leverage. 2. The ability to rent the asset out, which creates cash flow. Once again, the gold and silver rental market is non-existent. Don’t believe us? Go up to a stranger on the street and see if they’re interested in renting your gold. Unless they’re an imbecile, the answer is likely to be no. 3. Income property is the most tax-favored asset on the planet. Nothing else even comes close. ‘Nuff said. 4. 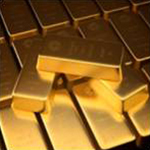 Gold is subject to confiscation. It’s already happened once, back in 1933. 5. It’s harder to manipulate the real estate market. As we speak, central banks around the world are conspiring to keep the price of gold artificially low in order to prop up their country’s fiat currency. The previous list contains just a few reasons why we’re not gold bugs. Conventional wisdom might choose gold but you’re smarter than that now.